The Vale Medical Group is committed to preserve and enhance its good reputation for being a tradition of caring and innovative practice. The group operates within a nationally-proposed frame of reference, but largely it’s up to members how it works. 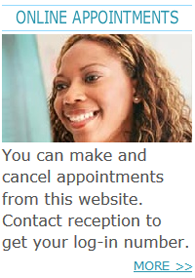 Meetings are generally held at one of our three surgeries. Members can commit as much or as little time as they like, and contribute in whatever way they feel comfortable. Please click here to access our Freedom of Information policy leaflet. For available information from the Practice under the Freedom of Information Act model Publication Scheme click here. NHS England require that the net earnings of doctors engaged in the Practice is publicised, and the required disclosure will be shown below by 31st March 2016. However, it should be noted that the prescribed method for calculating earnings is potentially misleading, because it takes no account of how much time doctors spend working in the Practice and should not be used to form any judgement about GP earnings, nor to make any comparison with any other practice. The average pay for GPs working in Long Clawson Medical Practice during the year ended 31st March 2018 was £60,000 before tax and national insurance. This is for 0 full time GPs, 5 part time GPs and 0 locum GPs	who worked in the practice for more than 6 months. The doctors and staff at the practice will ensure that all medical information about any patient is kept strictly confidential and is not given to anyone without the patient's consent. Please remember this if enquiring about a relative. Written consent is usually required for medical reports to insurance companies or for legal reports. Anonymised clinical data may sometimes be used for audit within the practice (to improve our standards of care) and it may sometimes be requested by the Primary Care Trust to monitor the performance of the practice. This clinical data will not be in a form that can identify any individual patient. You have a right of access to any medical information about you that is held at the practice (either written or on computer). If you wish to see your records this must be requested in writing to the practice manager who will contact you to arrange an appointment. 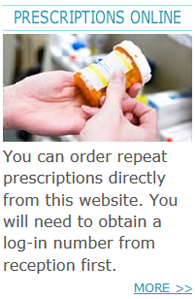 We offer online services for making appointments, ordering repeat prescriptions and viewing parts of your medical records. Click here to download the form. In certain circumstances during a physical examination of an intimate nature, the Doctor may ask a Nurse or appropriately trained member of staff to be present. The policy is designed to protect both parties and staff from abuse or allegations of abuse and to assist patients to make an informed choice about their examination and consultations. The Doctor should give you a clear explanation of what the examination will involve. Ensure you have adequate privacy to undress and dress. A Variety of staff can act as chaperones in the Practice. Where possible, it is strongly recommended that chaperones' should be clinical staff familiar with procedural aspects of personal examinations. Where a non-clinical staff member acts as a chaperone you need to agree and be at ease with this. The member of staff will only act as a chaperone if they have received training and are comfortable in the scope and extent of their role. You can refuse a chaperone, and if you do this will be recorded in your medical records.